HFSS is manufactured by treating starch with acids or enzymes. Standard starch syrups, used by the food industry contain dextrose and other saccharides. Dextrose (High DE syrup) is treated with isomerase. The resulting HFSS is a liquid mixture of dextrose and 42% fructose. It is used by food manufacturers in soft drinks, canned fruits, jams and other food applications. Fructose and glucose may be separated by chromatography and any concentration of fructose in HFSS can be achieved by back-mixing the fructose fraction. 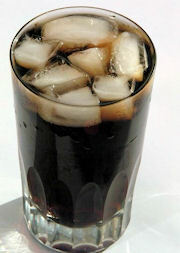 The popular 55% HFSS used in soft drinks are made that way. The composition and taste is similar to that of sucrose (table sugar) and can replace cane and beet sugar in most industrial applications. The HFSS use in beverages, primarily in soft drinks, accounts for almost three-fourths of the total production of HFCS in USA.